In our effort to hit 1,000 dives later this year, Wally and I made a trip to Grand Cayman for a week of diving together. We stayed at Sunset House. 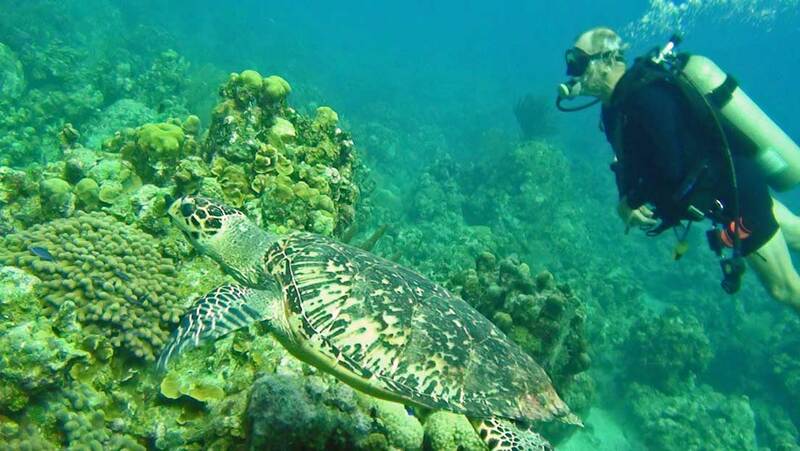 By the end of the week Wally and I both have over 980 dives. We had a great time. 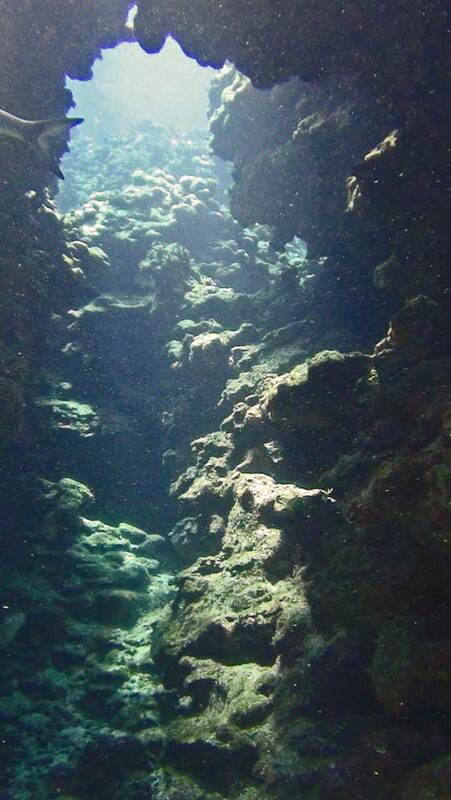 We made 4 or 5 dives a day. We had two boat dives every morning and then did shore diving off the dock at Sunset House in the afternoon. 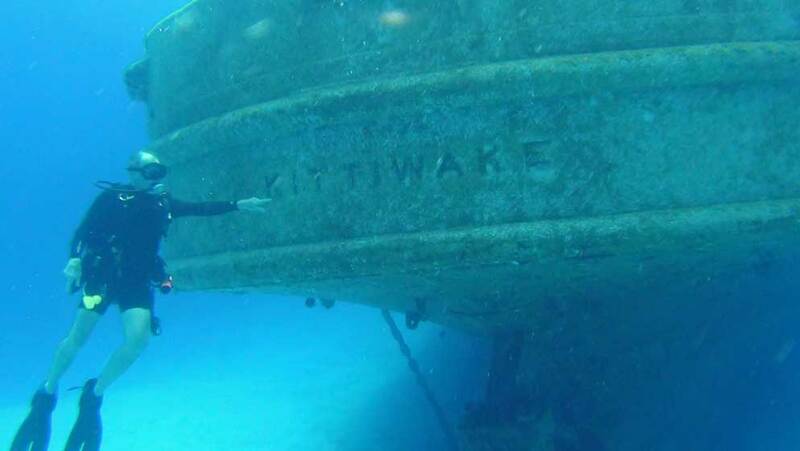 One afternoon we did a boat dive on the Kittiwake, a made reef from a sunken vessel that was once used to rescue (or in some cases recover) seamen from sunken submarines. Sunset House does a great job for divers. The facility is well maintained and beautifully landscaped. The dive staff is efficient and friendly. 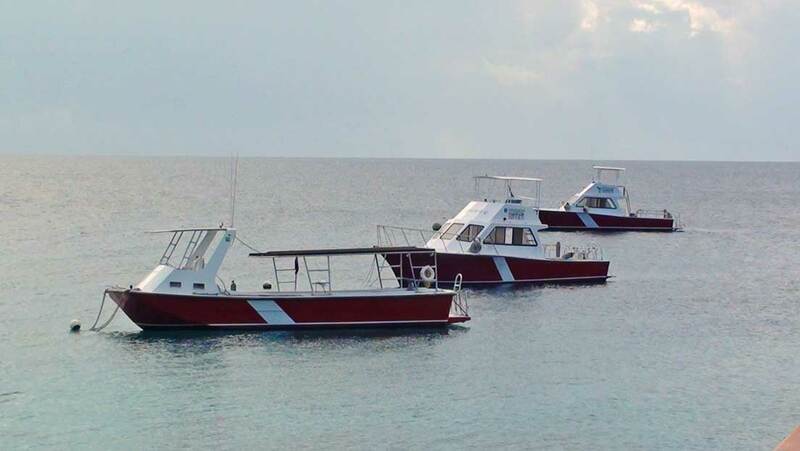 Their dive boats are comfortable and roomy. There is a nice restaurant and bar on the grounds as well as Cathy Church's photo studio, which is a great resource for anyone who likes photography above or below the water. 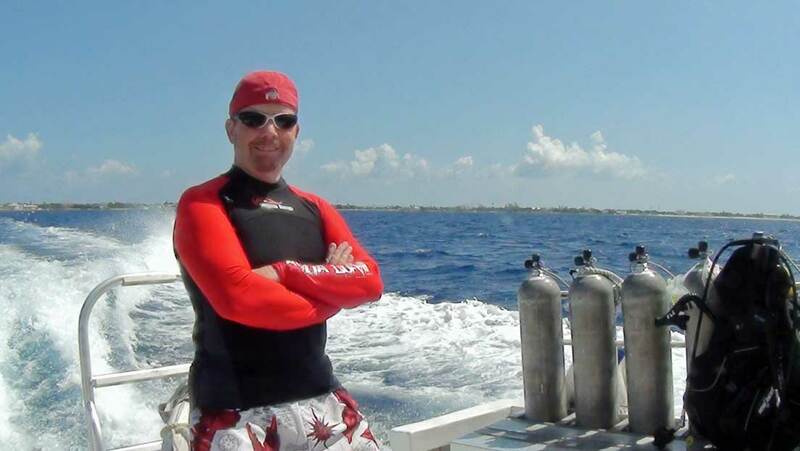 If you want to see pictures from other dive trips, including my trip to Grand Cayman in December of 2012, click on the buttons at the bottom of the page. 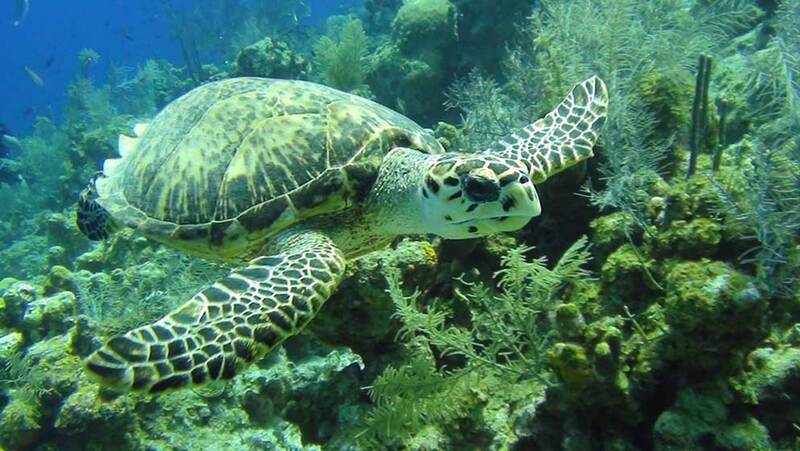 The Cayman Islands are a chain of three small islands just south of Cuba. We are just 90 miles north of Cuba as I am creating this page. I know this because I look out my window I see Key West below. Soon we will fly directly over the island of Cuba and land on Grand Cayman. Check out the pictures below by clicking on the thumbnail on the left to see a full sized picture. Then use your browser's 'back' button to return to this page. 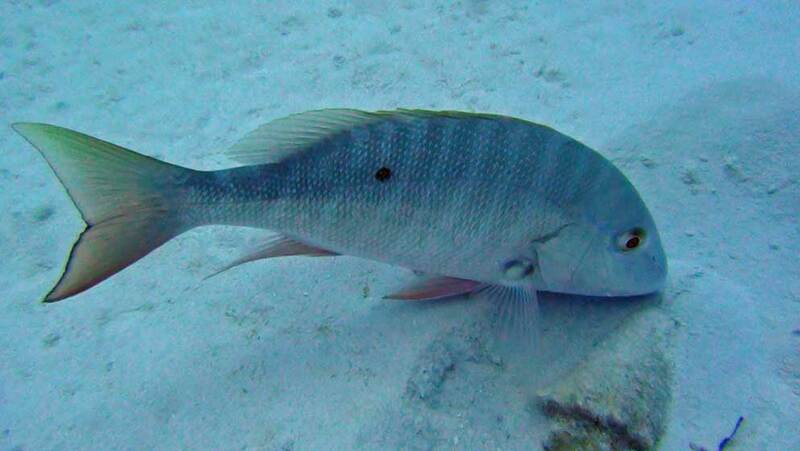 Wally and I saw this big snapper out near the landing craft. He ask where Kim was. He said he really likes Kim because she is so sweet. Well, his exact words were, "I like her because she tastes so sweet." 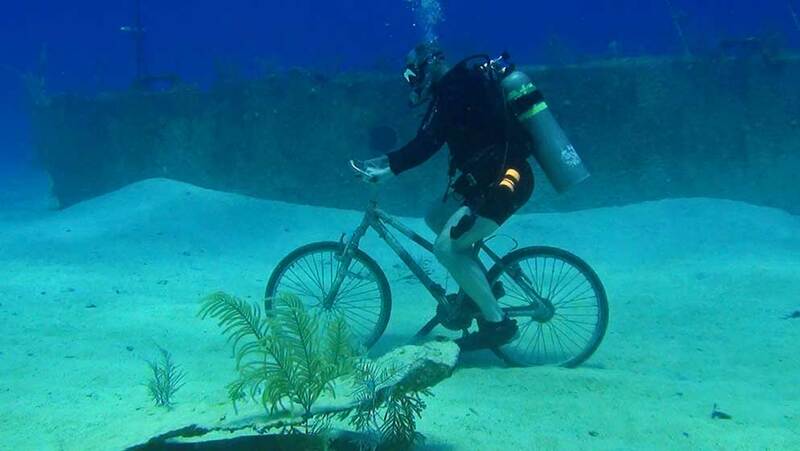 Wally found a better way to get around the dive sites. 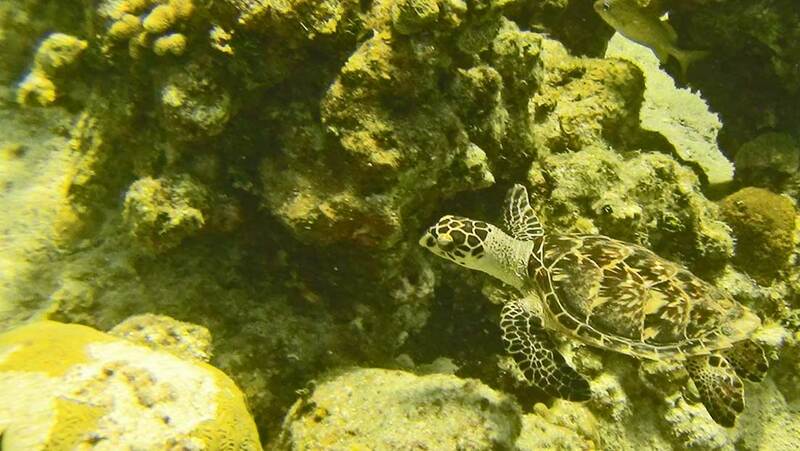 Saw a few turtles today. 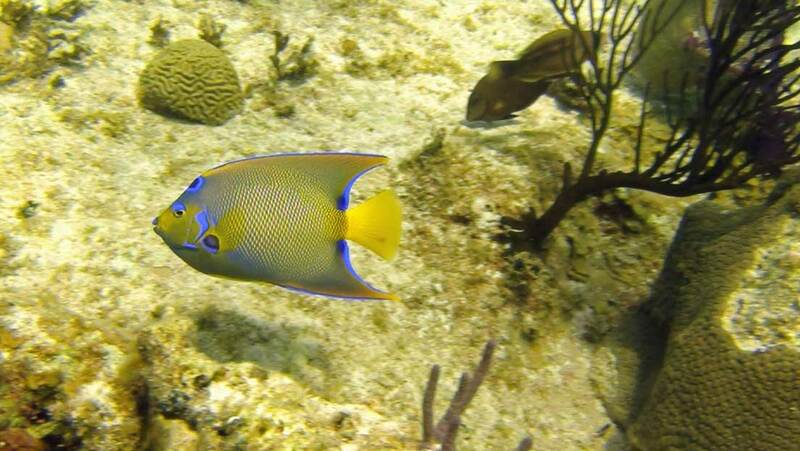 A French Angelfish comes by to check me out. 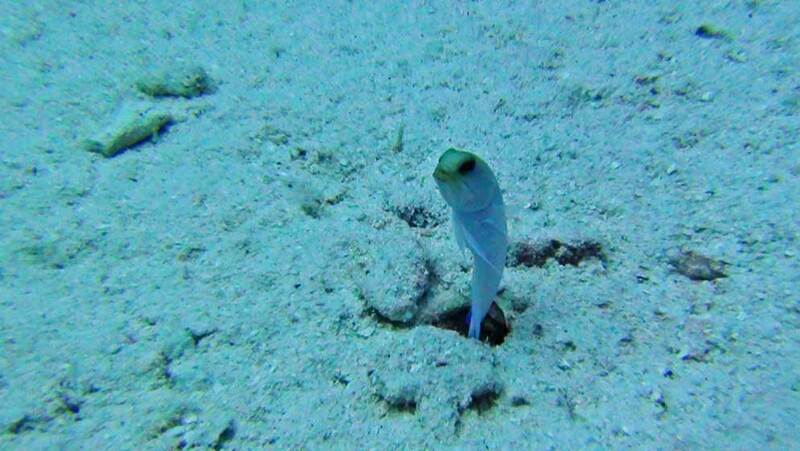 A yellow-headed jaw fish comes up to see if it is safe to come out of his home to eat. Wally and I dove on the Kittiwake today. It is a former submarine rescue ship. If a submarine had problem, they could lower a dive bell and rescue the crew from very deep depths. It has decompression chambers and the diving bell still on the wreck. 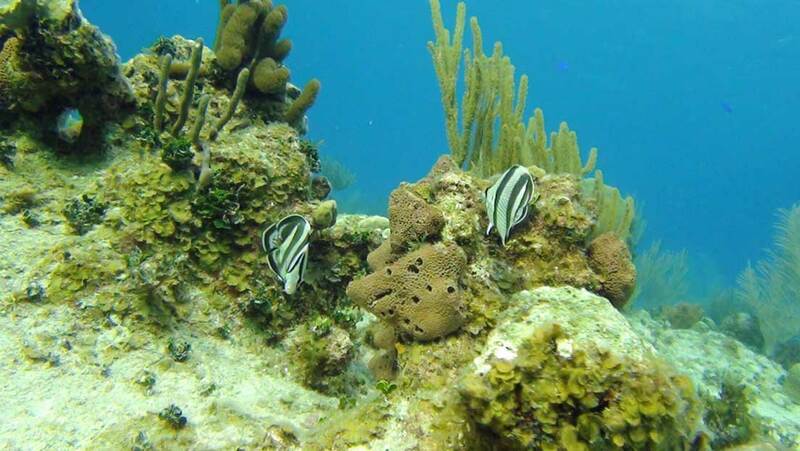 It was turned into an artificial reef in 2011. The propeller on ship is huge. 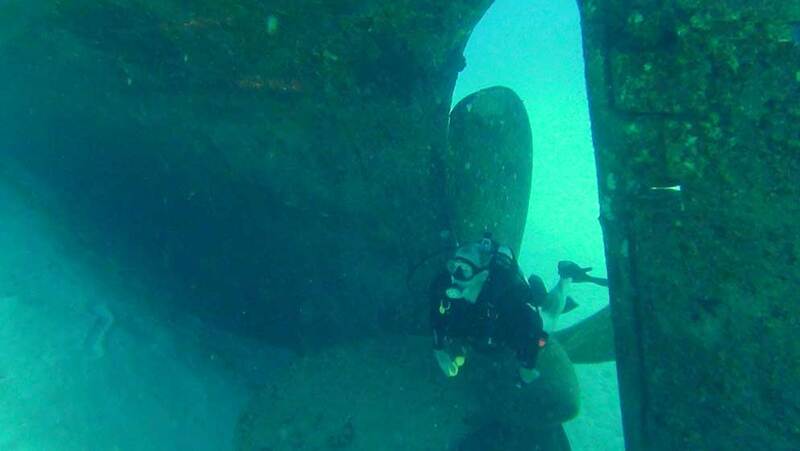 Here is a picture of Wally swimming between the propeller and rudder. Light at the end of the swim-through. 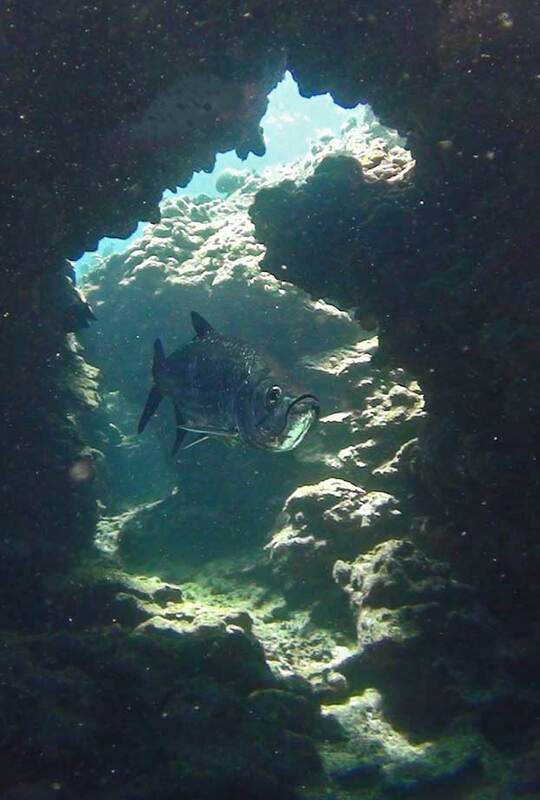 A huge tarpon hangs out in Devil's Grotto. Disney was in town today. 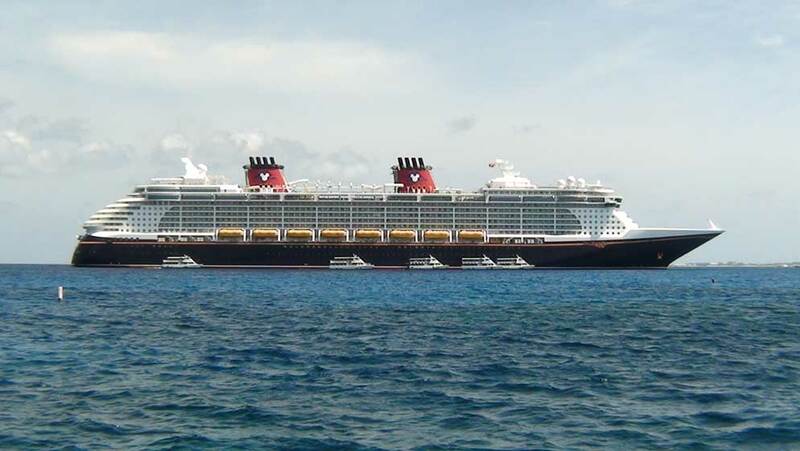 Fantasy, a Disney cruise line ship, pulled into harbor today. 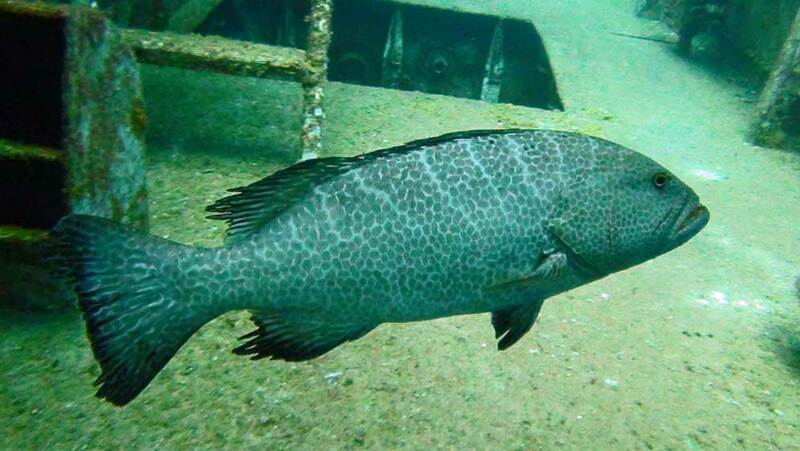 A big grouper hanging out on the Kittiwake. 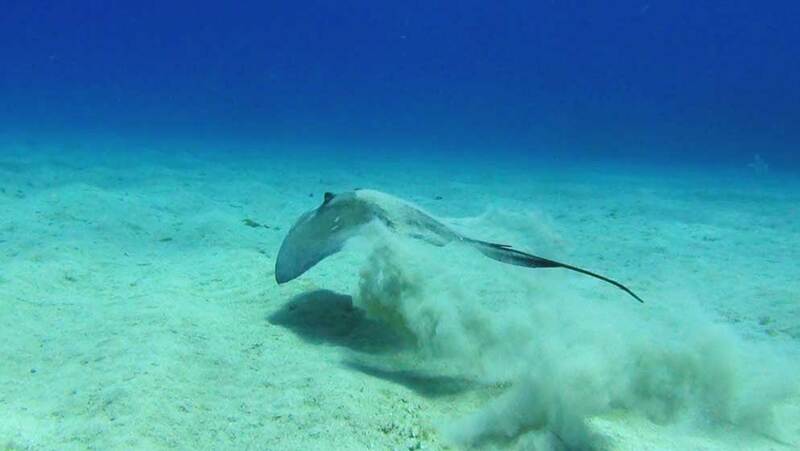 A southern sting ray takes off from the sand. 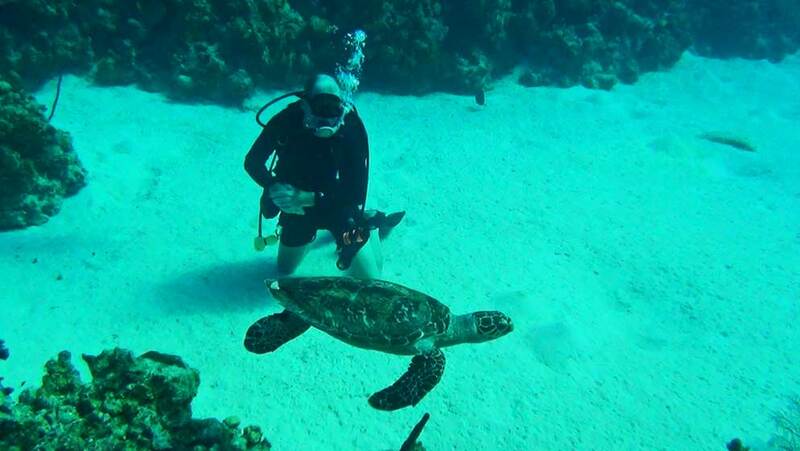 A turtle swims by Wally to check him out. 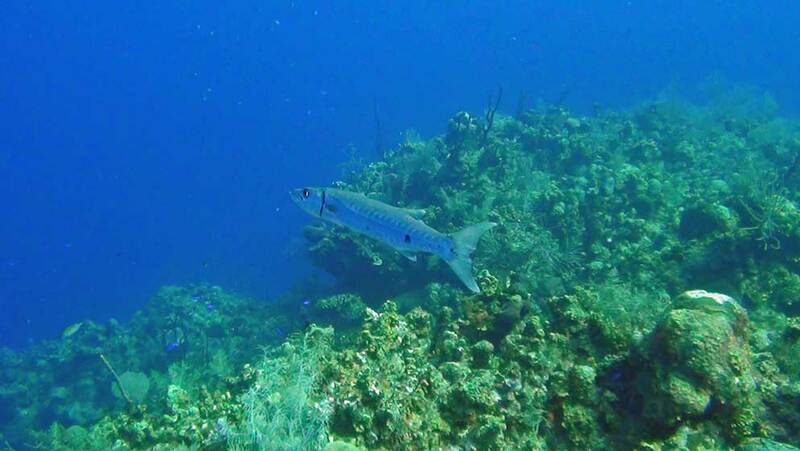 A barracuda hovers over the edge of the wall looking for an easy meal. 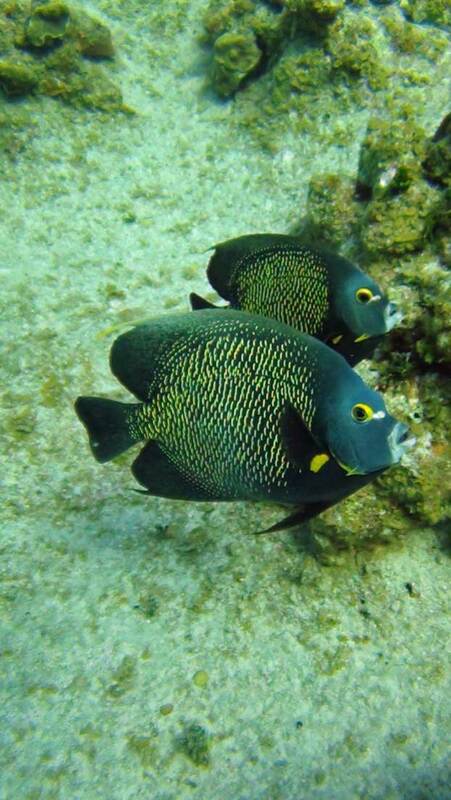 A couple of six-banded butterfly fish finding something to eat on the reef. 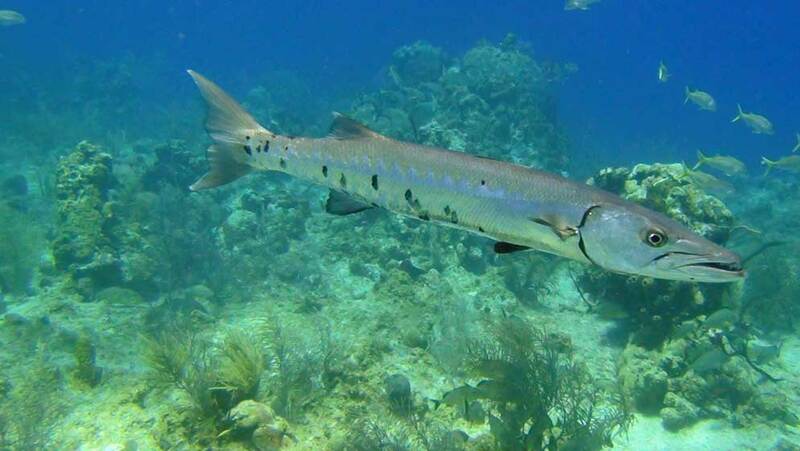 An angry looking barracuda was just one of many we saw today. Wally is just a turtle magnet. This is the second day in a row that one swam right up to him. 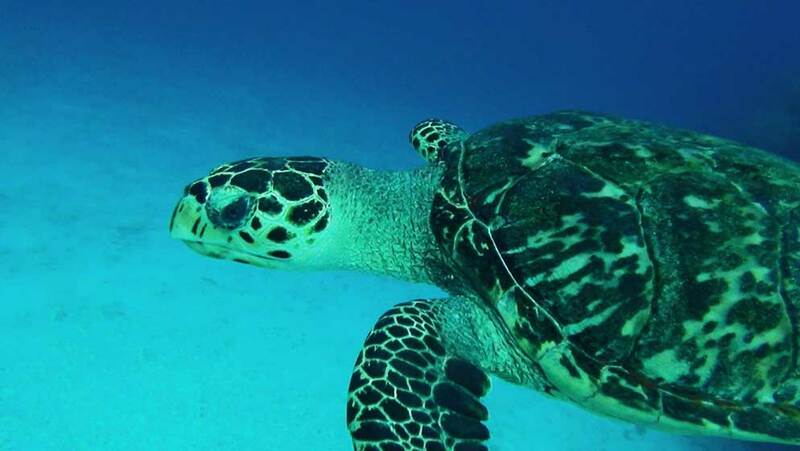 Friendly turtle comes in close. 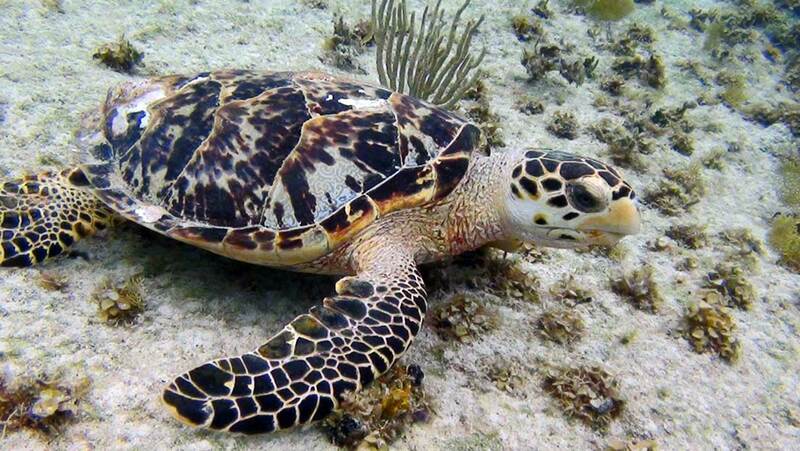 A turtle posing for the camera. 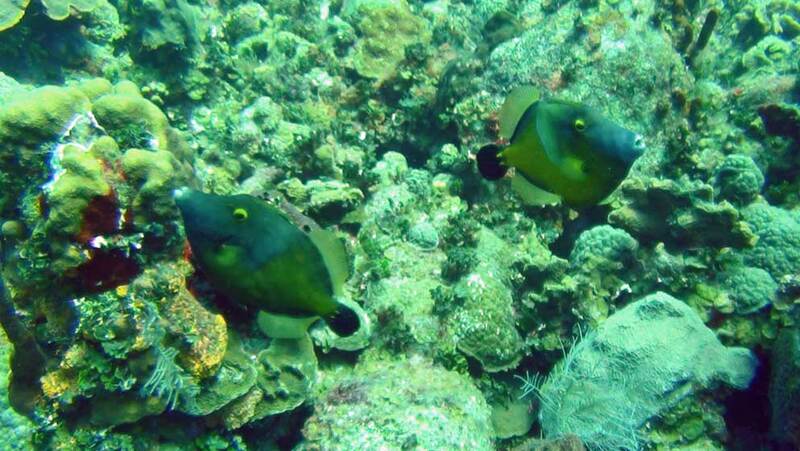 Two French Angel fish out looking for some food. Another day, another turtle. 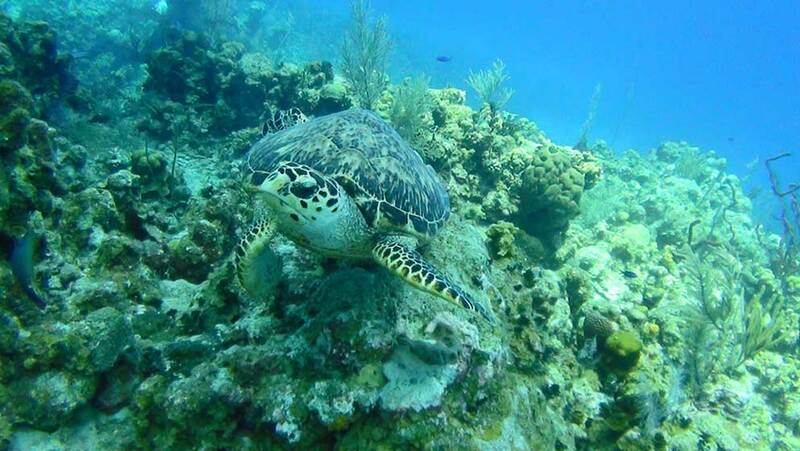 We haven't seen turtles on every dive but we've some every day. 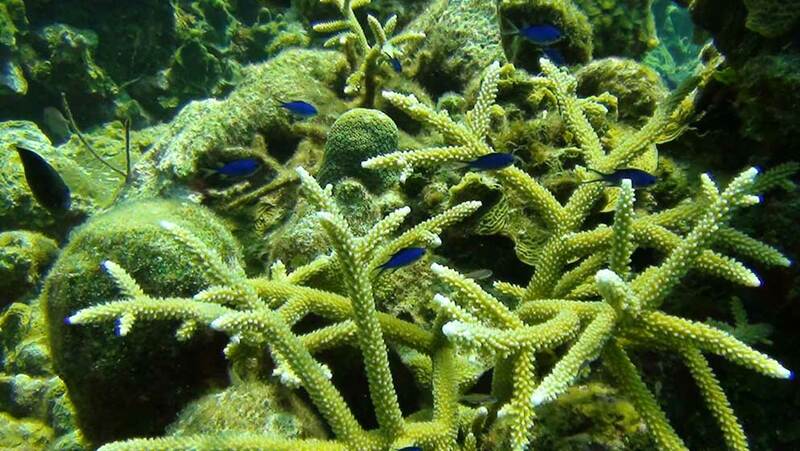 Small blue fish try to duck into the stag horn coral. 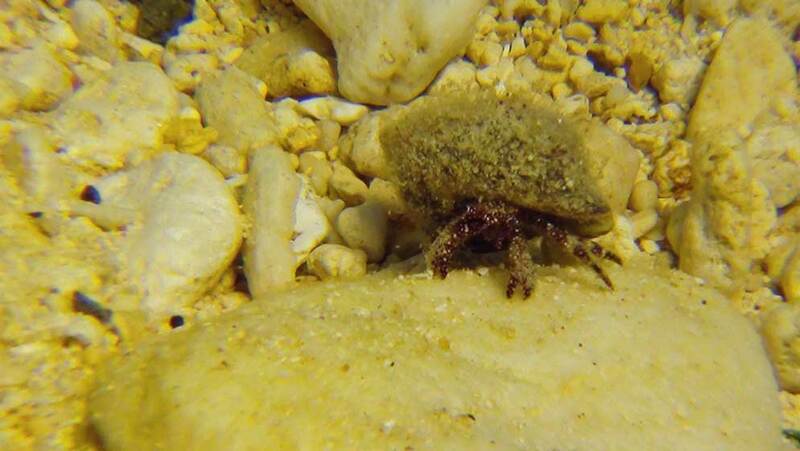 Very small hermit crab crawls around in the sand and gravel. 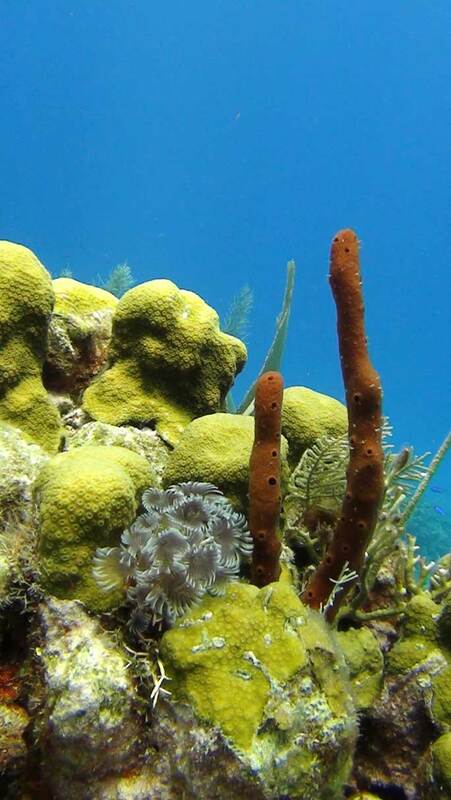 A group of feather dusters amongst other colorful coral. 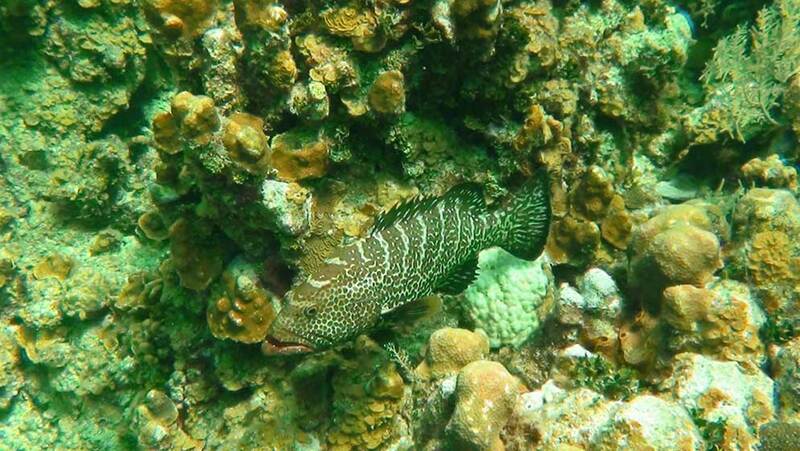 A Nassau Grouper on the reef. 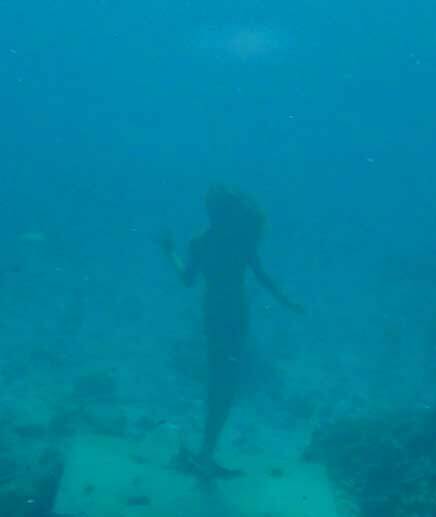 The silhouette of a mermaid off in the distance. 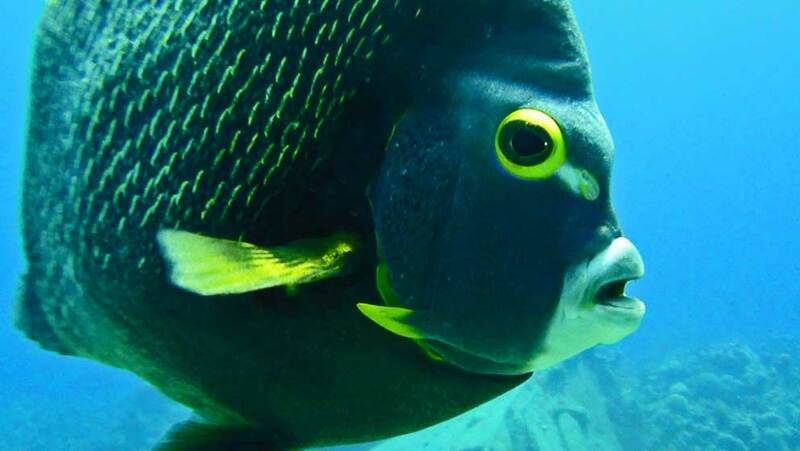 Squirrel fish with a large parasite on his head. 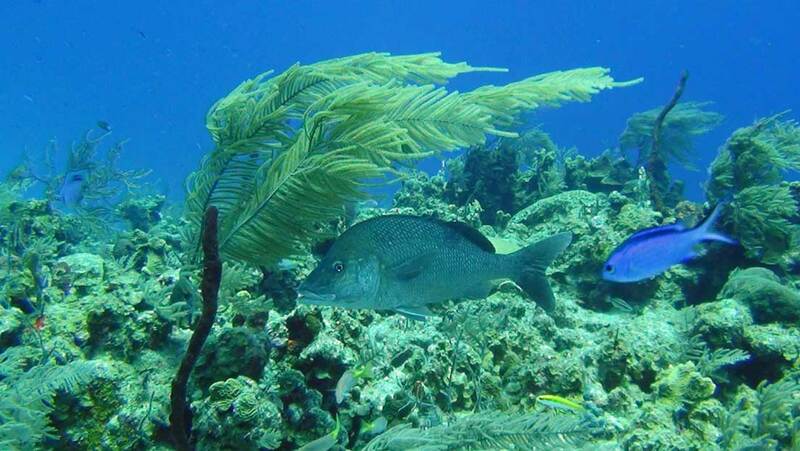 A big snapper takes shelter under some soft coral in the current. 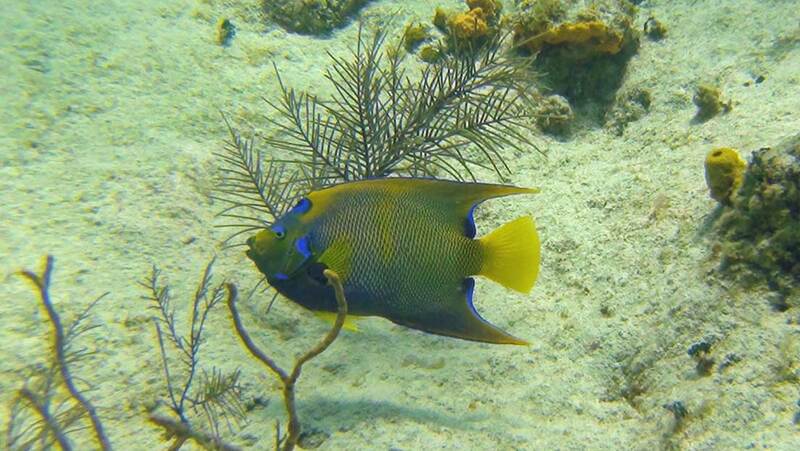 A small queen angel fish. 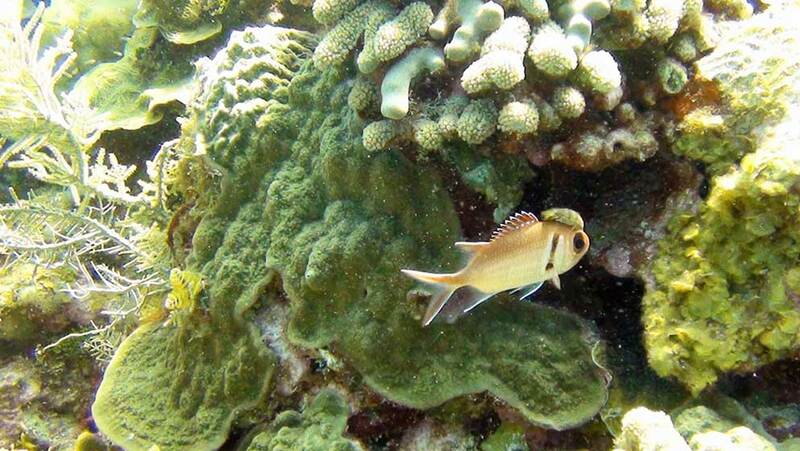 A rock Beauty hides in the coral. What can I say? 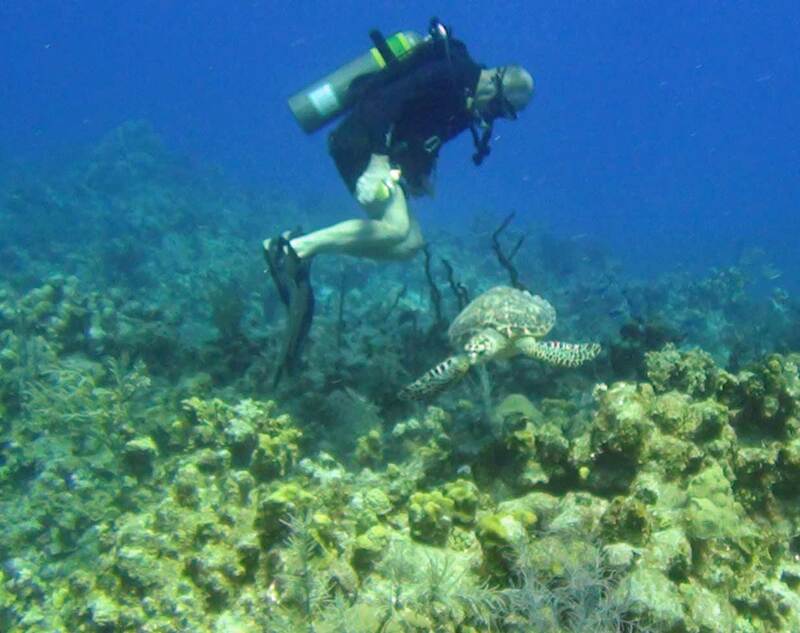 Wally found another turtle for dive partner today. 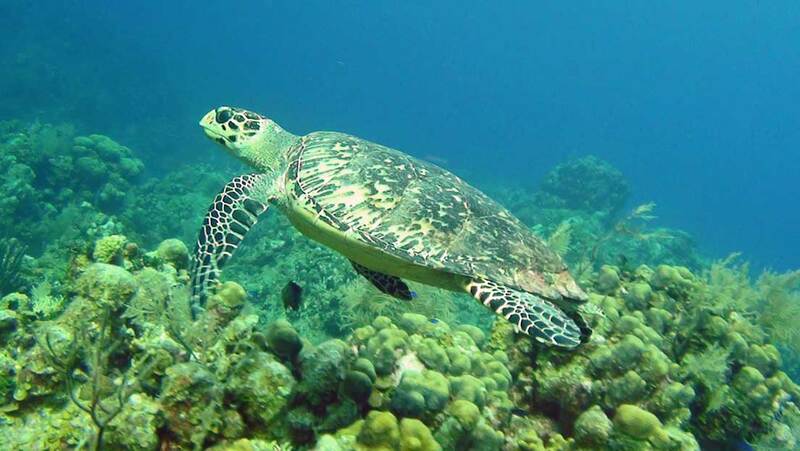 Turtle cruising over the reef. 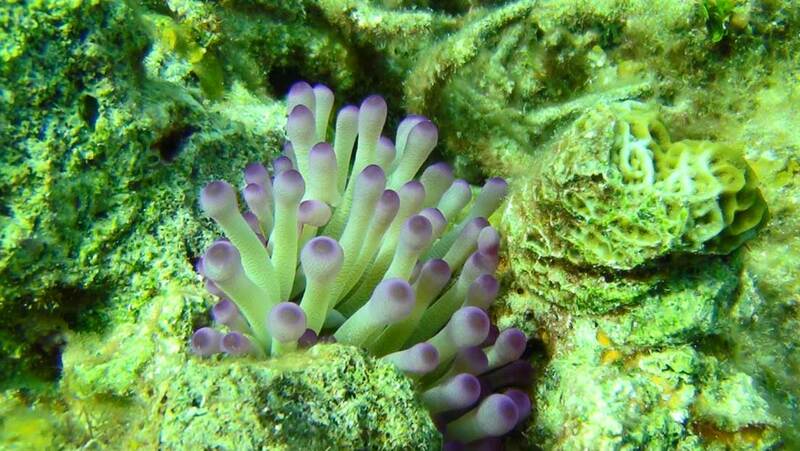 A purple tipped anemone pokes up from the coral. Two white spotted file fish in a mating ritual. They are not showing their spots right now. 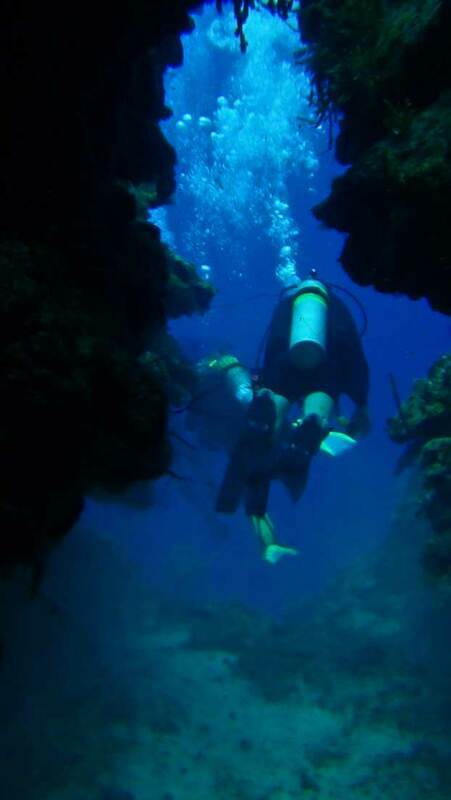 We're racing to the next dive site. Can't this boat go any faster? I've got fish to see. 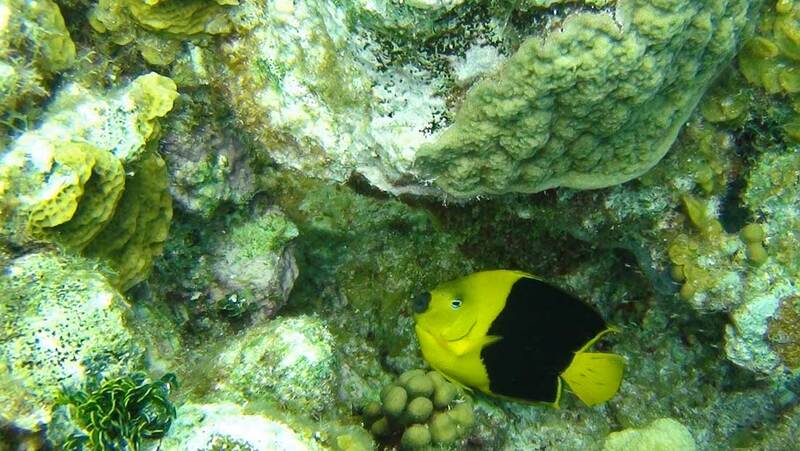 A squirrel fish is hiding in his little cave in the coral. 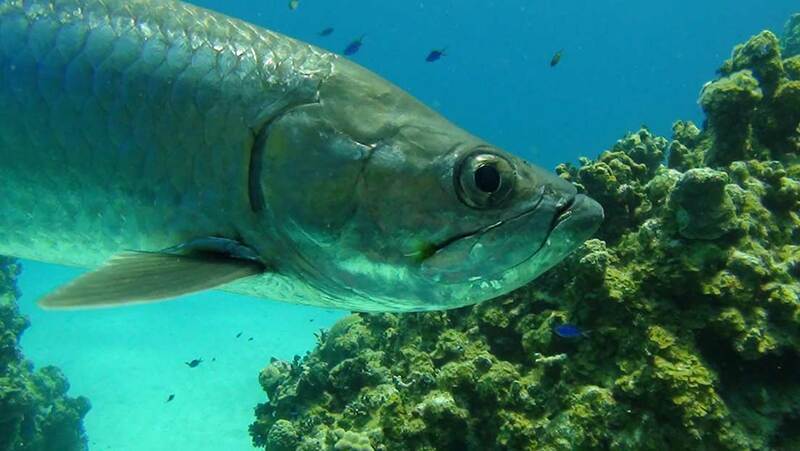 A big Tarpon. Up close and personal. 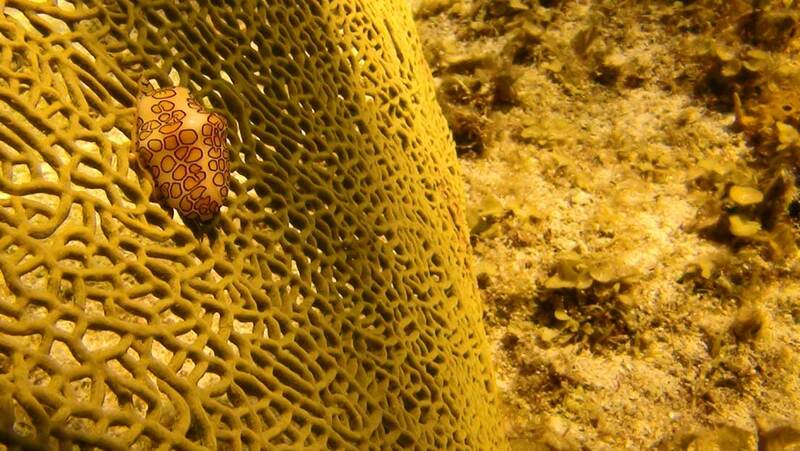 A flamingo tongue snail crawls across a green sea fan. Wally exiting the first swim through of the day. 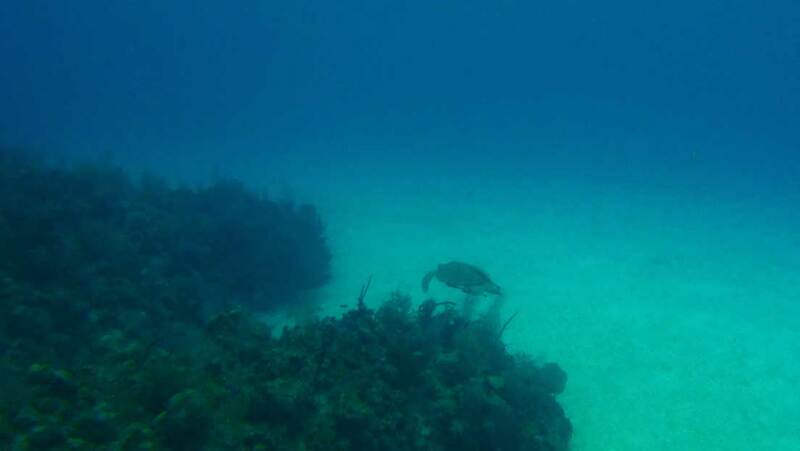 This was a huge turtle that swam by in the distance. I couldn't get close enough to get a good picture but it was bigger than a VW bug. It was so big that it had 3 large remoras on it. One his back and two on his belly. 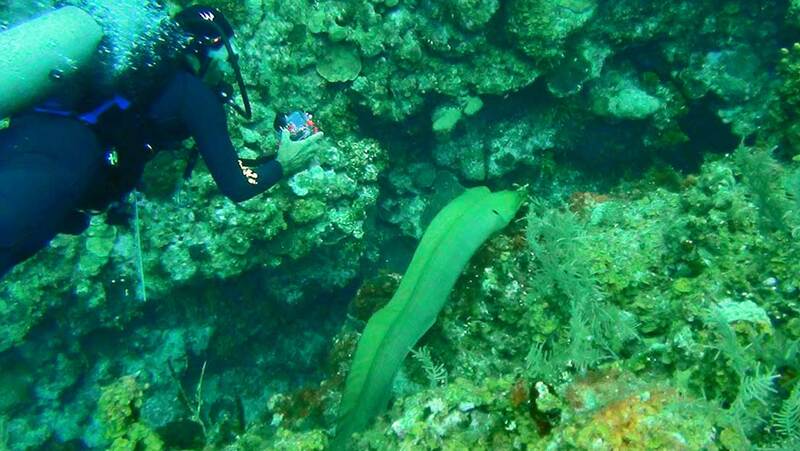 This green moray eel swam across the reef at about 60 feet under the surface. I was able to close to this little guy. He was a relatively small turtle, only about a foot across his shell. 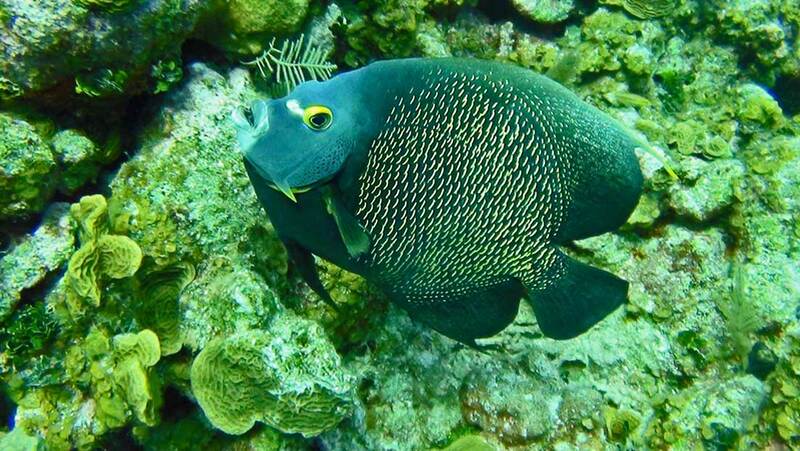 A Queen Angel Fish swims over the reef. 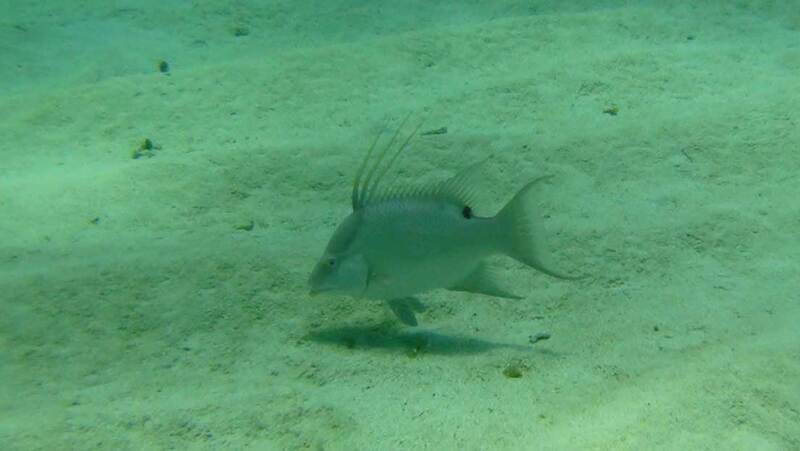 Hog Fish looking for something to eat in the sand. Then it moves around and comes right in front of you and into the dim light. 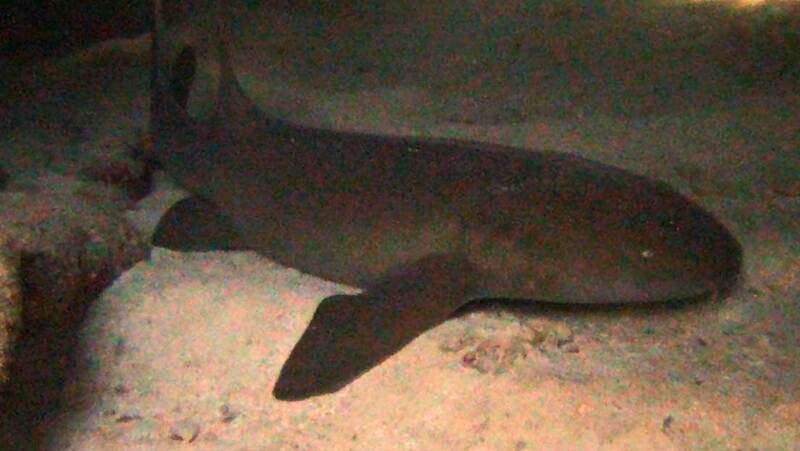 It's a 7 foot shark! There is no room to turn around. 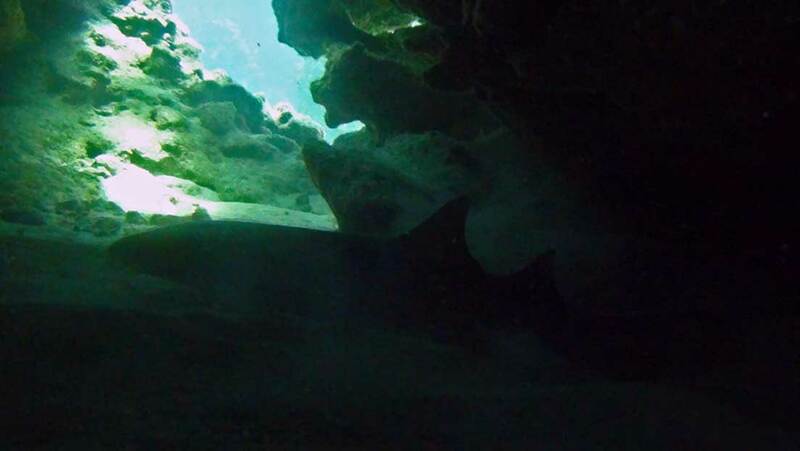 The only way out is to squeeze by this big boy and hope he doesn't panic as you swim only inches above him. It worked. 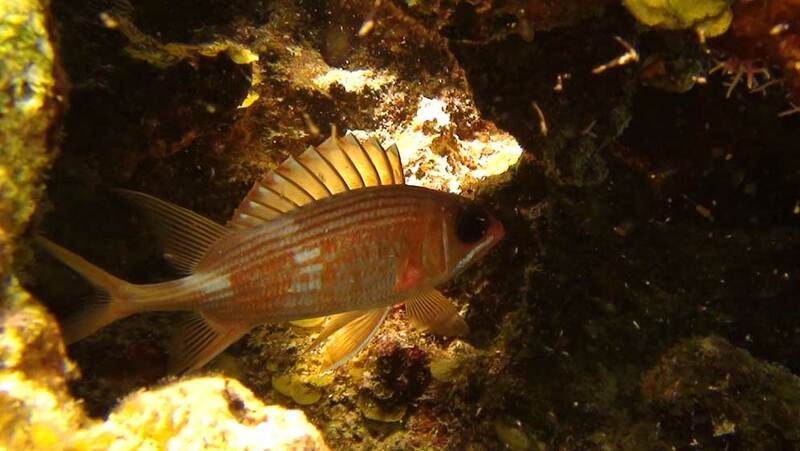 We both continued exploring the sea bottom. 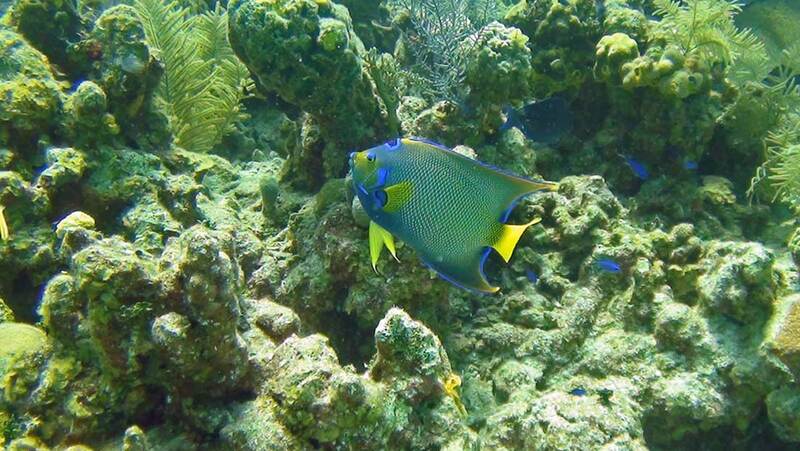 A Queen Angel Fish scurries across the sand on her way to the next coral head. 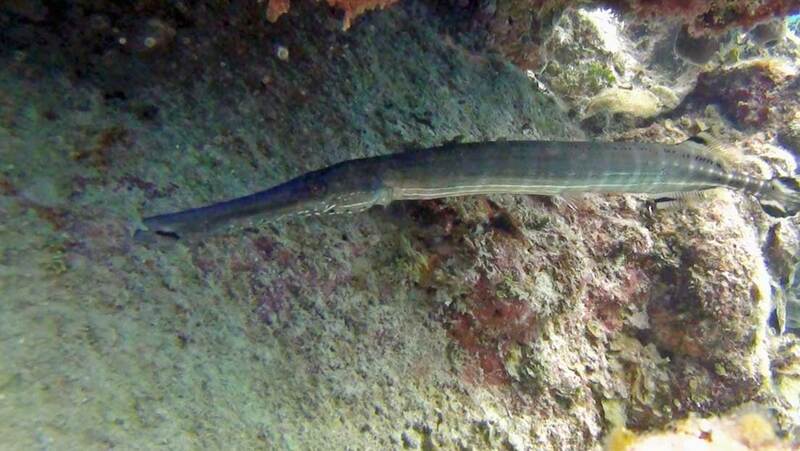 A trumpet fish hides in a small space in the reef. 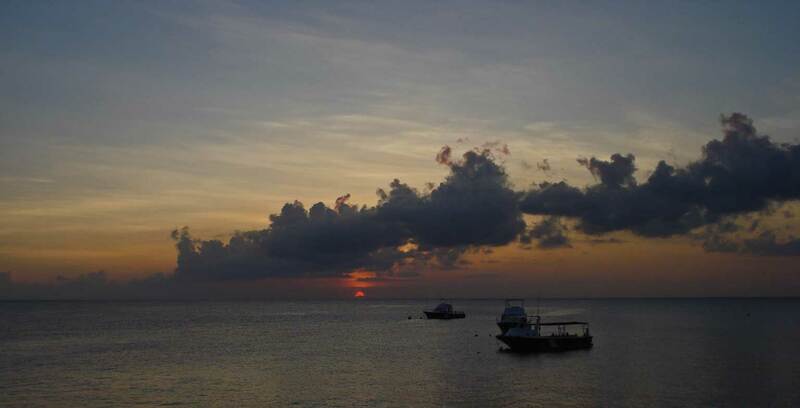 The dive boats at Sunset House are moored for the day and waiting another day of diving. The sun sets on another trip to Sunset House on Grand Cayman Island. 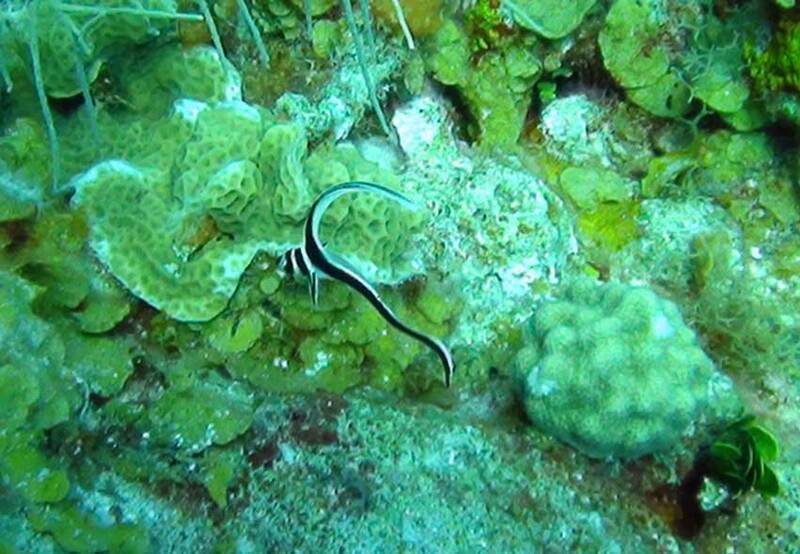 This is a list our dives on this trip. 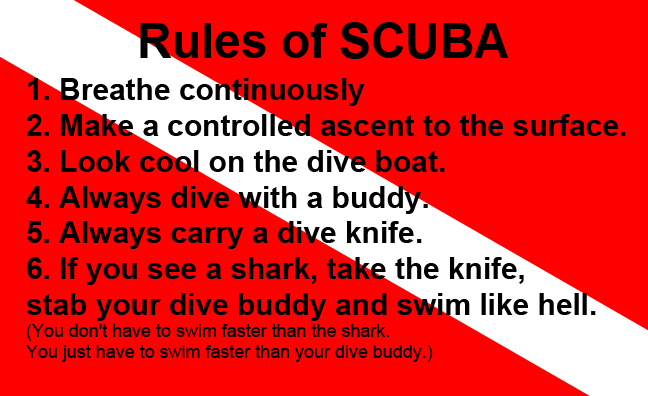 Most boat dives were limited to 50 minutes.